Honda RS 750. 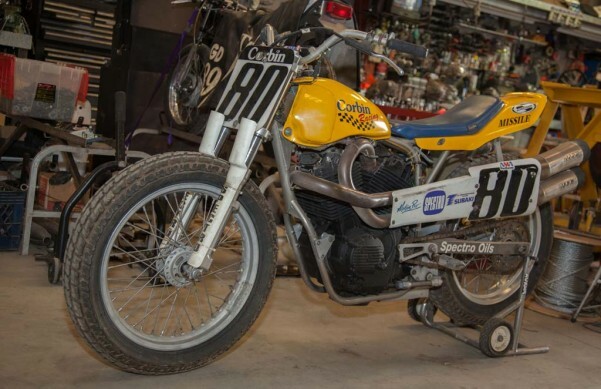 This is the bike that Rich King (#80) rode to victory at the AMA Seattle mile at Emerald Downs. It was the only Honda against 19 Harley’s. When the AMA told Honda that they had to put restrictors on this motor, Honda said (in effect) “screw you “and withdrew from the series.